Is your ProHeat Brush Belt broken, melted, missing or torn? You may need a Bissell Proheat or Power Steamer Belt 015-0621 to get your carpet cleaner back into service. This belt is one of two used in the Pro Heat models. 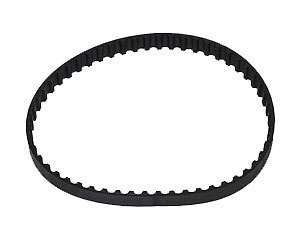 This belt is a cog-style belt and spans the distance between the pump pulley and the brush roll.